Do you want to advertise an open house you’re planning to hold soon? Is there a political candidate that you want to show your support for? Are you a part of an organization holding a carnival or another big event sometime in the near future? No matter what event, cause or occasion you’re looking to promote, yard signs make it easy to advertise just about anything. You can put whatever kind of messaging you want on lawn signs and then place them outside to get your message out into the world. Custom yard signs are an affordable, adaptive and mobile solution, and a great alternative or supplement to advertising in newspapers or on the radio or television. 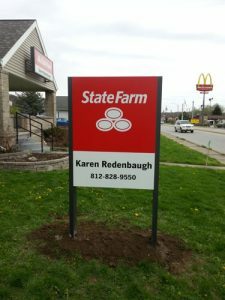 Many times, yard signs are seen far more often than other conventional advertising, as well, making them a highly effective way to promote your message. Place an order for lawn signs today and start using them right away to advertise your cause or event.